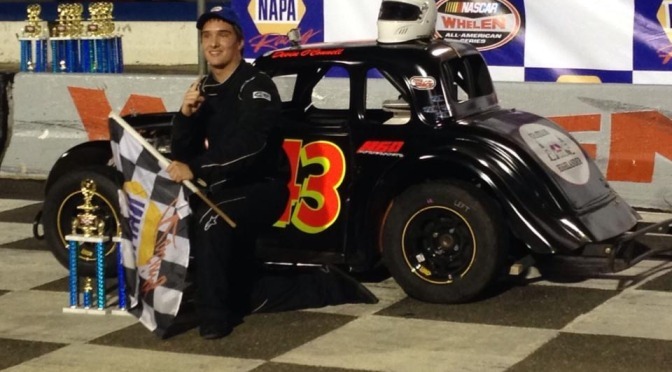 Devin O’Connell, a 17 year-old junior at Daniel Hand High School, is the 2014 Allison Legacy Touring Series Champion. Devin finished third in the final race of the season on November 1st, at Florence Motor Speedway in Timmonsville, SC. Starting on the pole for the final race, Devin was in the lead with 12 laps to go, when he lost the handling of his Thunderbird and spun out resulting in a caution. He had to restart at the back of the field and was able to work his way up to third before running out of laps in his effort to catch the leaders. 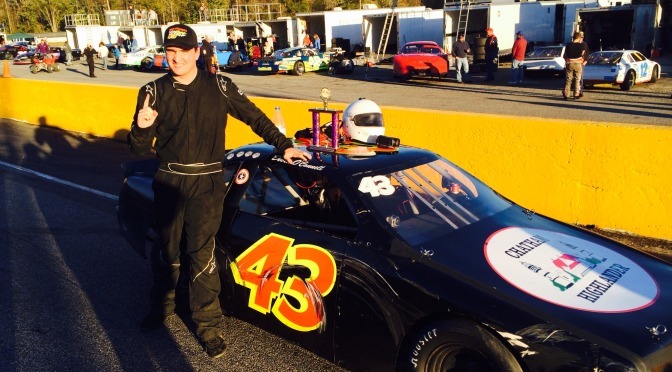 The 2014 Legacy season consisted of 16 races at tracks in North Carolina, South Carolina, and Virginia. Devin proved to be the driver to beat winning 10 of the 16 races with a five race winning streak and finishing in the top 3 in all 16 races. Living in Madison since 2006, Devin jumped at the chance to race in the southern series when his mother took a new job in Charlotte. 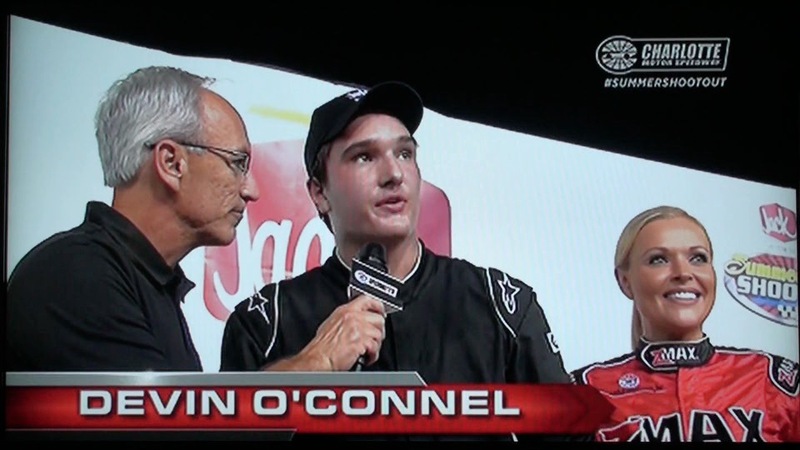 Prior to moving to North Carolina, Devin participated in the Allison Legacy North Series in 2010 and 2011, racing at tracks throughout New England. Another job change has resulted in Devin returning to his hometown of Madison this past fall. The Allison Legacy Series was started by the three sons of NASCAR legend Donnie Allison. The car is a ¾ scale replica of a NASCAR and the series has been a stepping-stone in the careers of many current NASCAR drivers such as Joey Logano, Trevor Bayne, Regan Smith, David Reagan, and Brian Vickers. 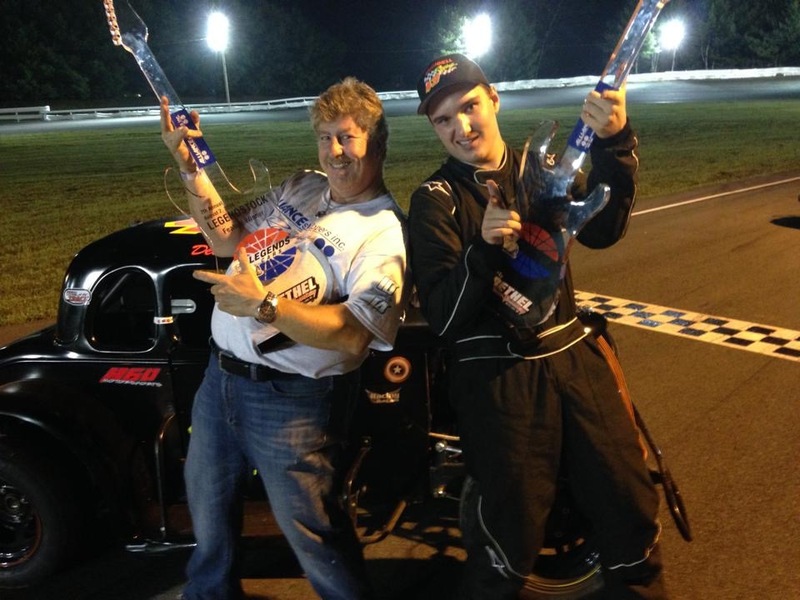 In addition to racing in the Legacy series, Devin added Legend car racing to his 2014 season. 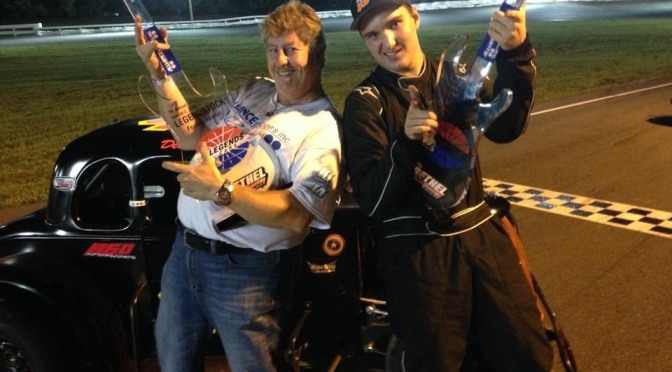 He won his fifth start on the road course at Charlotte Motor Speedway during the Winter Heat Race Series in January. 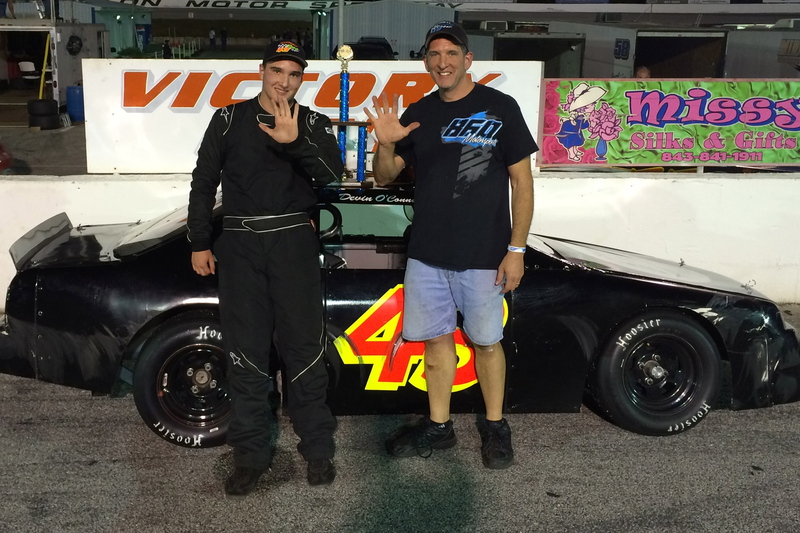 His success continued at the US Legends Winter Nationals at Auburndale Speedway in Winter Haven, FL, in February. Devin finished second in the points with one win and top five finishes in 4 of the five races. 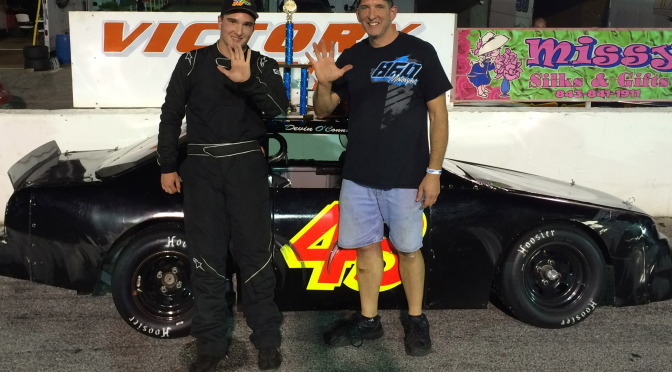 The highlight of Devin’s Legend season came at the Summer Shootout at Charlotte Motor Speedway. Devin finished in the top five in seven of the 10 races with 2 wins and 3 second place finishes. His first win on June 16th, was televised nationally on MAVTV. Devin had the points lead heading into the final race when an unfortunate incident on the track resulted in a cut right front tire. The flat tire cost Devin several laps and he finished the final race in 15th causing him to drop to third in the final point standings. 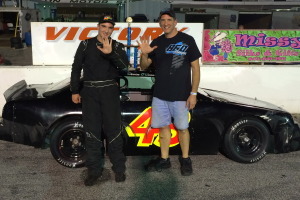 On August 2nd, Devin rebounded with the Semi-Pro divisional win and an overall 7th place finish out of 44 cars during Legendstock at Bethel Motor Speedway in White Lake, NY. 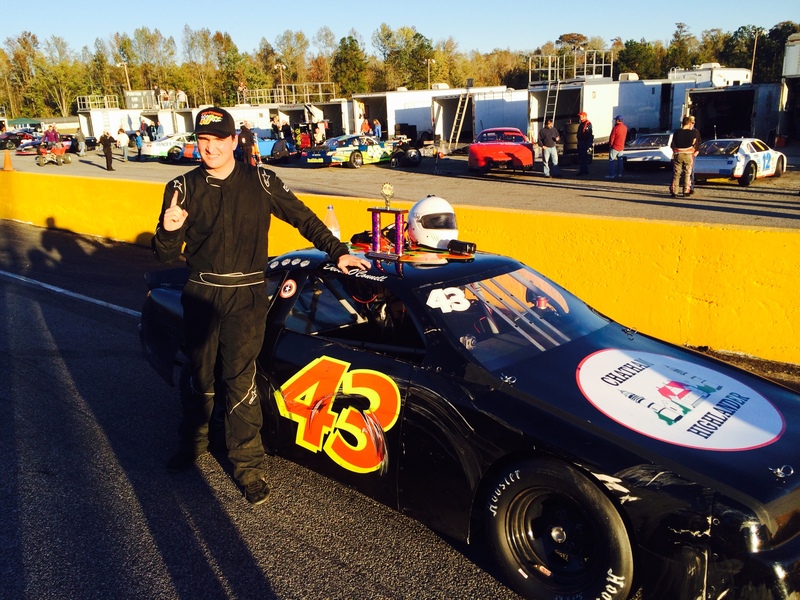 In total, Devin won 12 Legends races in 32 starts during his 2014 season including a win at Stafford Motor Speedway (CT) on September 12th and a Semi-Pro divisional win at Seekonk (MA) on October 3rd. 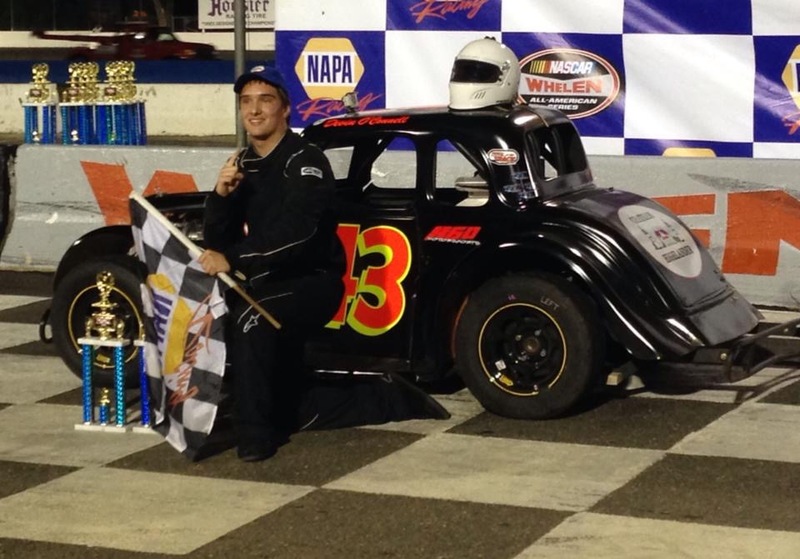 His overall 2014 winning percentage in both car divisions is 43.75% with an average finish of 3.21.Devin has 2 more races in his Legend car to wrap up the 2014 season. He will be racing at Wall Stadium in Wall, NJ on November 28th and 30th. The final Legend race will take place December 6th, on the road course at Virginia International Raceway, in Alton, VA, for the US Legends World Road Racing Championship. You can learn more about Devin O’Connell by visiting his website at DevinOConnellRacing.com, Facebook.com/devinoconnellracing, and twitter @_DevinOConnell. Devin finished third in the Legends Semi-pro points standings at his first appearance in the Jack-In-the-Box Summer Shootout. Devin found his way to victory lane 2 times and had 7 top five finishes including three 2nd place efforts. His initial success had him in the points lead heading into the final race of the series, but the championship was to be denied. On the first lap of the final feature, Devin was hit resulting in a flat right front tire. The repair time in the pits put Devin a few laps down and resulted in a 15th place finish. “I can’t be too disappointed. The experience was amazing and exceeded my expectations. 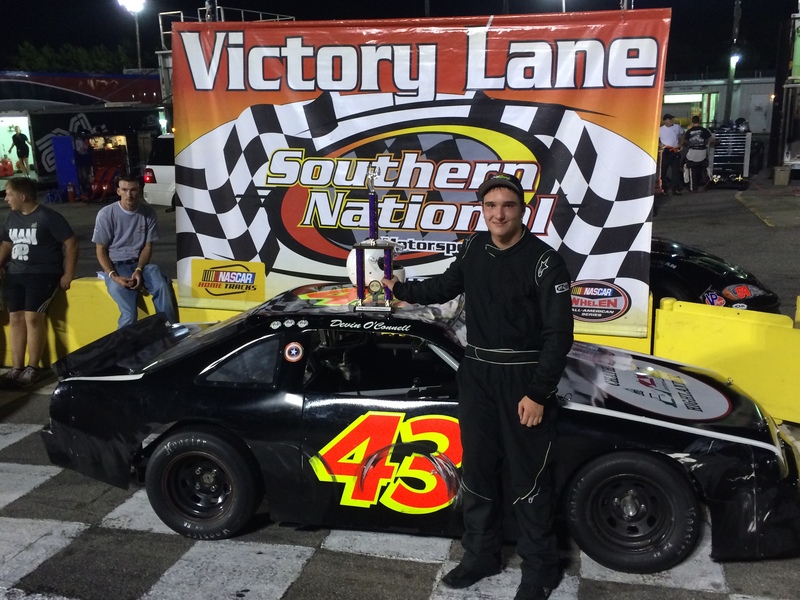 Thanks to my family, especially my Dad for his support, Thanks to CJ D”Addario and the entire crew of 860 Motorsports and thanks to my sponsor – The Chatham Highlander Motel.” Devin plans on returning to Charlotte Motor Speedway for the 2015 Summer Shootout.